A Stranger Concept Films is creating truly independent cinema for the movie-loving masses! Welcome to the official Patreon of A Stranger Concept Films! We are an independent film and media production collective located in Charlotte, North Carolina. Formed from the alliance of three film, media, and entertainment companies, A Stranger Concept strives to bring the very best in truly independent cinema, prioritizing artistic vision and creative freedom over the suffocation of the status quo. We are asking for any financial support you can offer, and gladly offer various perks for our Patreon backers such as IMDb credits, exclusive merchandise, early access to ALL of our films, opportunities to work on-set with us, and much more!! Absolutely everything we do is 100% because of YOU, our viewers, and we cannot thank you all enough for it! 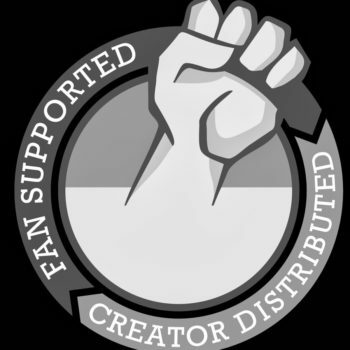 - We are proudly Fan Supported/Creator Distributed and that means there's no networks, no cancellations, and no b/s! This is a studio by fans, for fans, for real! For a monthly donation of $5 or more, we will list your name in the credits and on IMDb for ALL of our upcoming films that you're a Patron for! For a monthly donation of $10 or more, we will not only list your name in the credits and on IMDb for ALL of our upcoming films that you're a Patron for, you'll also get exclusive early access to watch all of our films via digital download! For a monthly donation of $25 or more, we will not only list your name in the credits and on IMDb for ALL of our upcoming films that you're a Patron for, you'll also get your very own copy of our latest DVDs shipped straight to you! For a monthly donation of $100 or more, YOU are now an Associate Producer for A Stranger Concept Films. You'll get exclusive early access to everything we do AND you'll be listed as an Associate Producer for ALL of our upcoming films that you're a Patron for! Help us feed the starving artists! For only $50 a month, we can ensure that everyone on our set stays not only fed, but well fed (as in more than just pizza and soda) on each and every production we do! Be a hero and help us end production crew hunger!